Timeless Venice is a city of history, art and romance where heritage and legend are ever present amongst the canals of the Venetian lagoon. On this unique Italian coast, lagoons are separated from the sea by an offshore bar forming the beautiful holiday beaches of Lido and Bibione. Beyond is a Mediterranean countryside of wheatfields, orchards, vineyards, and olive groves. 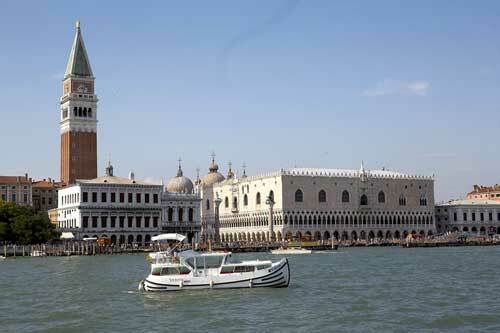 The highlight of your Italy boating holiday is the cruise to Venice itself. Moor in the heart of the city, stroll around St Mark's Square, and enjoy the many sights of this unique city on the water. 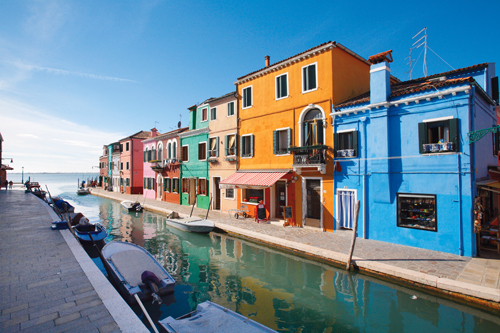 Cruise across the Venice lagoon to the famous islands of Murano, Burano and Torcello and enjoy the specialist shops and workshops on these islands. Other options include exploring the River Brenta to Padua or the picturesque Sile River to Treviso. The Venice region offers a wealth of waterways with many itinerary choices. Around each corner, beneath each bridge, is a different landscape. The Venice lagoon is busy with boats and ships of all sizes. We therefore recommend cruising in this area only for captains with some boating experience. To visit Venice by boat is a simply unique holiday!